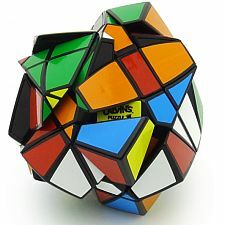 I hate puzzles with a passion; I think of them as Gordian knots best untied with a sword, a machine gun or whatever else you can bring to bear on the problem. The world of computer programmers, however – the world which I entered with the sole purpose of working for the highest bidder – is a world full of people who sincerely love puzzles. And if you visit this blog, perhaps you're one of these people. If so, you might be pleased to learn about the recently launched Sokoban levels design contest, operated by gild – a great hacker, my long-time co-worker, an IOCCC winner, and a participant in Al Zimmerman's programming contests which he cites as inspiration for his own new contest. The rules are precisely defined here; the general idea is to design Sokoban levels falling into different problem classes. Submitted levels are scored based on the length of the shortest solution (longer is better), and normalized s.t. the level taking the most steps to solve right now gets the score of 1. With 50 problem classes, the maximal overall score is 50. But with all the other cunning contestants submitting their own levels, your levels' score might be dropping every day or hour! Anyway – if you're that sort of guy, it looks like a great thing for your brain to chew on. Good luck! I just wanted to thank you, Yosef for this post, but just add, that anybody can join this contest for pure fun. The point is, if you feel it is an interesting problem/puzzle and you have some spare time, why not give it a try ? "Guy" means "guy or gal" as it has meant in countless English sentences, and is less formal than "person" so I used that. I don't share your implicit and far from accidental assumptions regarding the gender neutrality of various English words used in particular sentences and contexts. Certainly people writing things like "if the user wants to log in, she ought to enter the password" mean "she or he", don't they? I believe someone writing "he" or "guy" or whatever generally means the same, and I believe "he" is better than "she" in that context because it's been used that way for centuries and changing the language can only obscure one's meaning and never clarify it. While we're at it – calling women a "minority" for instance is another one of those changes to the language that I find a bit silly. "Minority" has always meant the opposite of "majority" and women are roughly half the population, sometimes a small majority in a given area and sometimes a small minority; certainly the use of the word is wrong. Why can't one argue for equal treatment of men and women in whatever context without poor choice of words? What's wrong with affordable housing? Or would I have to know Hebrew to understand? "Affordable housing" assumes that there's plenty of housing but for some reason its prices are not "affordable". In reality they're obviously "affordable" to whoever pays them, otherwise they couldn't pay them, but the main point is, for prices to go down you need to have more housing, which means more construction. A reasonable term, whatever you think of its precision in use of terms, is say "housing shortage". It conveys the simple fact that you want more housing. "Affordable housing" assumes that by political or financial trickery you can improve something when in fact you need to have more houses in the physical world to be built. No good things and many bad ones can result from this assumption, I believe.